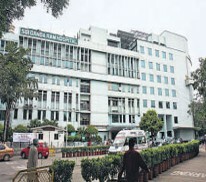 The hospital is governed by a Board of Management comprising medical consultants of eminence, some with an international standing. The Board of Management operates under the overall guidance of the Sir Ganga Ram Trust Society. The Sir Ganga Ram Hospital is committed to make available 20% beds of total strength for admission of indigenous and financially weaker section of the society. On these beds all facilities (boarding, lodging, investigations, medicine and operative procedures are free. In addition to that we are running regular OPDs for all disciplines where patients are seen free of charge. 40% of all the investigations is the OPD patients are free of charge. These facilities are provided strictly on a first come, first serve.